ODB promotes cooperation between Belarusian professionals in energy, environment, transport, and higher education with their colleagues from the EU and Eastern Partnership states to foster the approximation with international norms and standards; helps strengthen the voice of pro-reformist groups in Belarus. 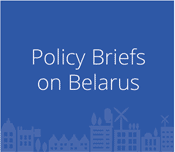 Since 2008, over 700 Belarusian experts from research and educational institutions, government affiliated agencies and civil society organisations have benefited from 14 study visits, 18 international seminars and round-tables and four thematic platforms. Thanks to ODB, Belarusian specialists establish professional contacts and exchange ideas and best implementing practices. 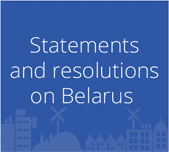 Leading experts from Austria, Belgium, Czech Republiс, Germany, Latvia, Lithuania, the Netherlands, Poland, Slovakia, Spain, Sweden, Georgia, Moldova, Kazakhstan and Ukraine continuously share their experience with Belarusian professionals and remain involved in Belarusian projects. Expert programmes result in new international partnerships, policy papers and recommendations for reforms.